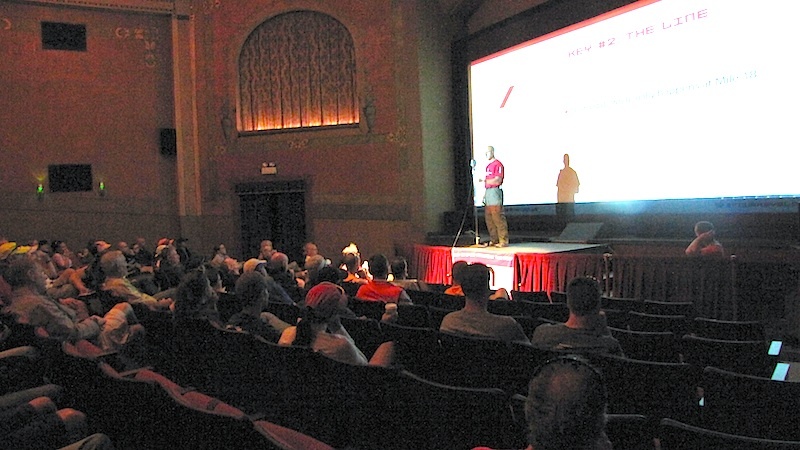 Our Four Keys Talk at Lake Placid was a tremendous success, by any measure — Endurance Nation coaches Patrick McCrann and Rich Strauss delivered detailed Lake Placid race execution guidance to a near capacity audience at the Lake Placid Theatre on Main Street. And on Friday, September 6th, they will repeat the show at Ironman® Wisconsin, from 10:30a to 12:00p at the Overture Center for the Arts. Join Rich and Patrick for the Four Keys of Race Executionpre-race talk — simple, critical guidance applied successfully by over 10,000 Ironman® finishers. Coach Rich will then offer a detailed, mile-by-mile discussion of how to race Ironman® Wisconsin. Coach Rich has raced Ironman® Wisconsin three times, conducted eight camps on the course, and has coached hundreds to the race. The coaches will then answer questions from the audience. The entire talk will last about 90 minutes. Over the years Patrick and Rich have coached thousands of Ironman® athletes, podium finishers and Kona qualifiers. Combined they have raced almost 30 Ironman® events including multiple Kona finishes. Endurance Nation has had over 1000 Ironman® finishers per year since 2010. Their Four Keys of Race ExecutionDVD has been used successfully by over 10,000 athletes. They have, quite literally, written the book on Ironman® race execution! The coaches will use ^this^ experience get your mind right about how to execute every inch of the Ironman® Wisconsin course, bringing you several years, and wasted races, up the learning curve! Fuelbelt (www.fuelbelt.com), RestWise (www.restwise.com), NormaTec (www.normatecsports.com), Wheelbuilder (www.wheelbuilder.com), Rudy Project (www.e-rudy.com), Road ID (www.roadid.com), Xterra Wetsuits (www.xterrawetsuits.com), TTBikeFit (www.ttbikefit.com), infinIT Nutrition (www.infinitnutrition.com), Endurance Films (www.endurancefilms.com), The Core Diet (www.thecorediet.com). Endurance Nation is on a mission to create the largest online Team of self-coached endurance athletes in the world. Our top-notch coaching experience is built on time-efficient training protocols that make our athletes smarter, fitter, and faster on race day without breaking the bank. The Team is currently closed to new members, but anyone can view our free resources and join the official waitlist on the Endurance Nation website here: www.endurancenation.us.